The missy at Little Miss Bingo reminds us that good things come in small packages. There is nothing small about this online bingo site with jammed packed games galore and Jackpots that will put a bigger smile on your face than the missy herself! Will pink and blue make all your dreams come true? Little Miss Bingo invites you to dream big and play bingo for a chance to win astounding cash prizes. The bingo site has an adorable presence with the blond cutie who gives you a wink and a smile that will lights the homepage and invites you in. It is bingo for the young at heart whether you are 20 something or 90 something you will find a large community of players. The quick register box is a breeze to get started, which allows you to sign up in mere seconds and before you know it you’re in the bingo lobby. Cozy Games powers the site with a menagerie of products for one of the finest platform of bingo software in the industry. Little Miss Bingo is a member of the Fun Bingo Network and is registered by the Malta Lotteries and Gaming Authority. 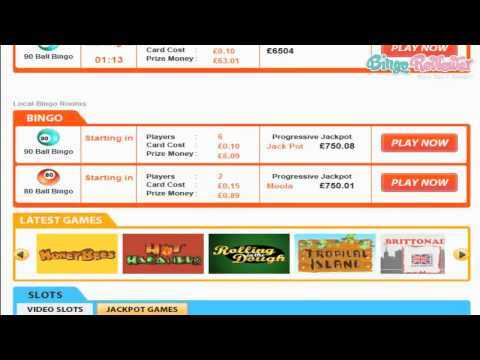 There are three dynamic bingo rooms available on the site. One is a networked 90 ball room which is shared with other Cozy bingo sites within the network. They also offer local 80 ball and 90 ball bingo rooms. All of the rooms offer a simple enough to navigate with robust features including a Chat room and plenty of Side Games in the top right hand corner. Pre-buy your tickets in advance and don’t miss out on the impressive Progressive Bingo Jackpots available in every room. This site offers much more than bingo because players want a variety of gaming options that are delivered with over 35 games to choose from. Video Slots and Jackpots are will put you in a spinning frenzy of entertainment with features that enhance your winnings. They also offer a traditional casino with Table Games such as Roulette, Poker, Keno and a strong lineup of Scratch Cards for instant big wins. Little Miss Bingo has a nice Free Bonus offer for all new members to the site. Receiving this welcome promotion is easy as pie in three fast steps; register, verify your email and edit your profile and just like that you are in the Bingo Bucks. The first three deposits give you playing power that is ridiculously generous with Reload Bonuses available too. Watch the Magic Wheel go round and round with a chance to win up to a staggering £1,500! Play by earning points every time you login, wager on Bingo and selected casino games and deposit. Refer a Friend and earn a whopping 25 points plus an amazing percentage Bonus for your friend is awarded. Trade your Loyalty Points in for hard cold cash. Every Loyalty Point earned will set you on your way to fantastic cash rewards. 100 points is valued at £1 cash with up to 2,000 points allowed per week to convert. There is a superb line up of not only sensational games but a Promotions page loaded with great incentives. Generosity in awarding Bingo Bucks is always available where players can play all their favorite games with. We rate Little Miss Bingo with 4.75 Pink Hearts. Overall, I was very pleased with the site! First of all, their welcome offer is one of the best I have ever come across. It is a no deposit bonus, which just that alone is awesome. However, for nothing at all out of your own pocket, they give all new players £20 free. I was very happy upon joining the site and receiving this fantastic offer. It really gives you a chance to try out the site for a bit on the house. In addition, I really loved their selection of bingo. They offer three of my favorite varieties, which includes the classics: 75,80 and 90 ball. You can’t go wrong with those and the progressives are really nice. I have had no issues at the site when it comes to payments or anything like that and everyone has been friendly and ready to have a good time. I would definitely recommend it! This quickly became one of my favorite sites after joining. First of all, their welcome bonus is unlike any other! I really enjoy the extra little tid bits they have going on at the site. For example, they have really exciting chat games going on a frequent basis. You can double up on your play by playing all the chat games within their chat room. There is also a really nice loyalty program at the site where you can even exchange the loyalty points that you earn for cash! I was happy with the bingo they offer here, however they don’t offer a ton of free bingo and I would like to see a little more of that. As far as their other games, they have tons to offer. The slots offer up some massive jackpots and the list of them is laid out nicely on the site for you to choose from. Don't know if it has to do anything with Little Miss Sunshine, but I loved the movie and I had to give this site a try. The graphics are good looking, on higher resolution screens as well, and the site is very easy to use. The site is powered by Cozy games software and it all looks and runs very smooth and nice, and since there is a mobile site version, there is very little to complain about. No downloads as well, it all looks really promising. They have the classic 75 and 90 ball bingo games, but also the 80 ball bingo, just to spice it up a little bit. The cards cost £0.05 to £0.15, and there are constant jackpots available. In case you need a break from bingo, you can also play Slots (it is hard to miss them, since all the casinos have them in store), regular Casino games and even scratch cards that I find very interesting, even after a really bad strike. However, I did well on Bingo and manage to withdraw the money for a few times, never had a single problem.